The Galaxy Note 9, another premium flagship product by South Korean tech titan Samsung Electronics, is likely to be unveiled on Aug. 9, two weeks earlier than its eighth edition, with some changes in its exterior, according to the industry on Wednesday. Amid the circulating rumors about the upcoming Samsung phone’s debut in early August, an industry source told The Korea Herald that Aug. 9 is a likely date for the ninth edition of the Galaxy Note series. Some other rumors said the unpacked event traditionally in New York would be held on Aug. 2. According to news reports, the upcoming flagship product is forecast to feature some changes in the exterior design. 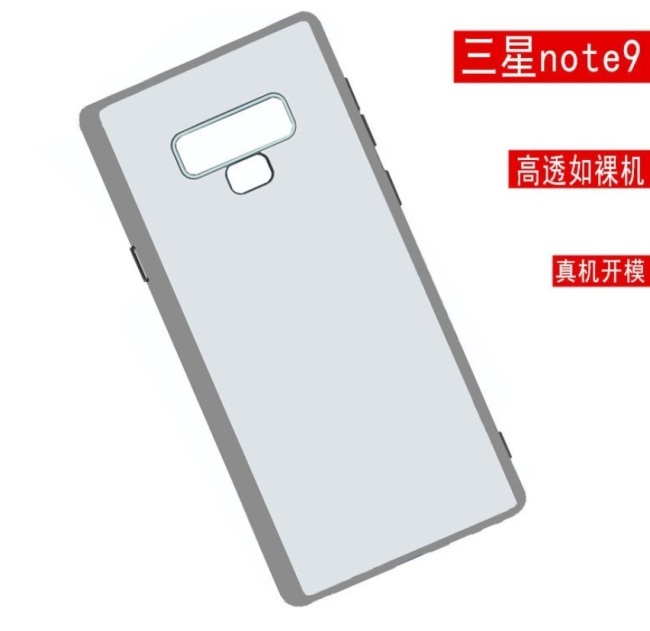 A leaked image of a possible protective case for the Note 9, posted by Twitter user Ice universe, shows the fingerprint sensor module is placed below the camera module on the rear side of the smartphone, similar to the Galaxy S9 series. A new button on the lower left side seen in the leaded case image is speculated to be a camera button by handset information provider GSM Arena. The Note 9 is also rumored to feature a 6.4-inch AMOLED display, marking the biggest screen for the series, as well as the largest-ever battery volume of between 3,850 to 4,000 milliamperes per hour.